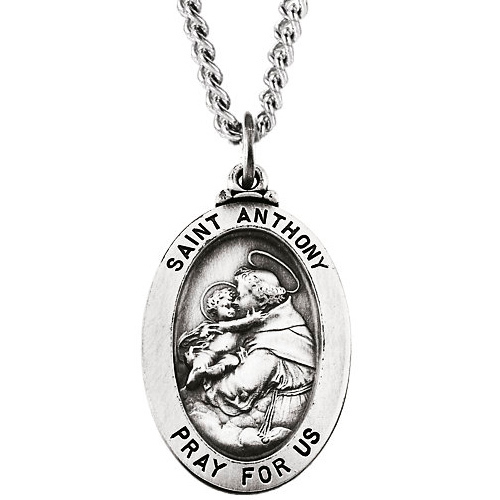 This sterling silver oval St Anthony medal has a 24-inch matching sterling silver curb chain. Medal contains the inscription SAINT ANTHONY PRAY FOR US. Item size: 7/8in x 5/8in. Weighs 2.61 grams. Please note: weight is approximate, actual weight may vary.